An email tutorial showing you how you can import and export your app’s data via email in your iOS app. Load Attachments In Your App! A lot of developers want to be able to share their app data via email. It’s a convenient way for users to send data to each other or between devices – and it may even net you some new customers! Luckily, this is pretty easy to do on the iPhone – you just have to set a few keys in your Info.plist and handle a few callbacks so the OS can open your app with the URL to import. So we’ll cover how to do exactly that in this email tutorial! We’re going to start with the Scary Bugs project we’ve been building starting from the simple app tutorial on up to the file sharing tutorial. So if you don’t have a copy of the project where we left off already, grab a copy! 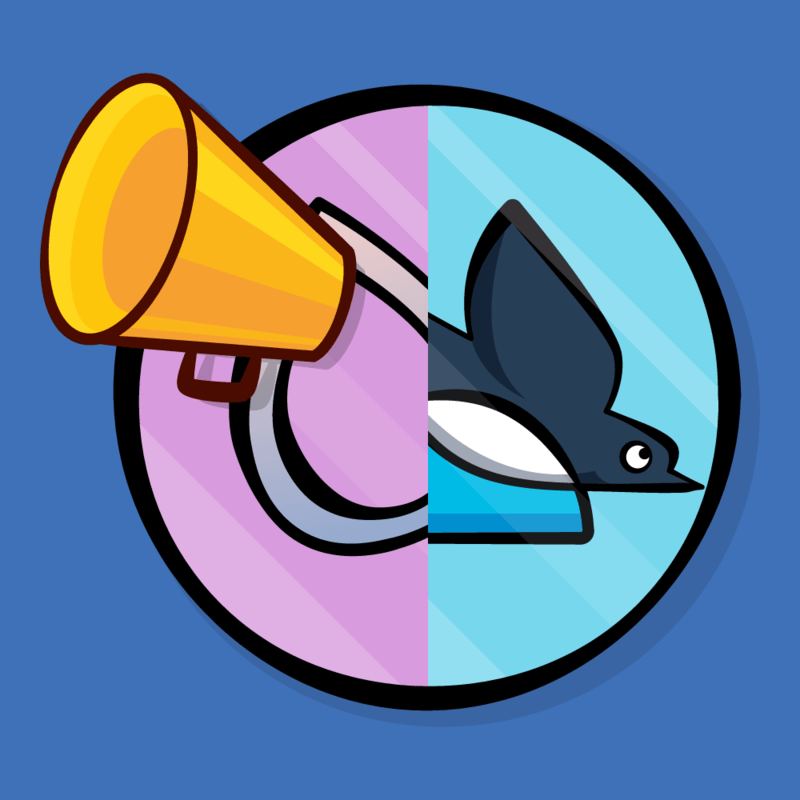 We’ve already laid most of the groundwork we need in order to support sharing our app data via email – we’ve written code to save a copy of our app data as a single file. So the next thing we need to do is set up our Info.plist to let the OS know that we can handle “Scary Bug Documents”. The way you do this on iOS is by registering your app as able to handle certain UTIs, and exporting any UTIs that are not already known by the system. 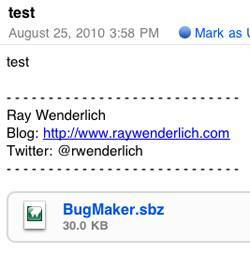 In summary, UTIs are just unique identifiers that represent your document, such as “com.raywenderlich.scarybugs.sbz”. There are built-in ones for common document types such as “public.jpeg” or “public.html” as well. So we’re register our app as being able to handle a UTI we make up for our app, and then we’re going to tell the OS a bit about our UTI, such as what file name extension it uses and what mime-type it’s encoded as in email. 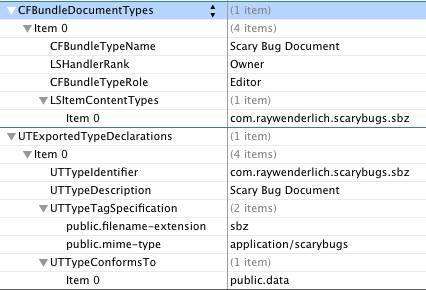 The CFBundleDocumentTypes entry says what UTIs our app supports – in this case, the com.raywenderlich.scarybugs.sbz UTI, as an Owner/Editor. The UTExportedTypeDeclaration entry gives some information about com.raywenderlich.scarybugs.sbz, since it isn’t a public UTI. Here we say that any file ending in .sbz or has a mime type of application/scarybugs is that kind of file. You can hold and tap on the attachment and it will prompt you if you want to open it in Scary Bugs. 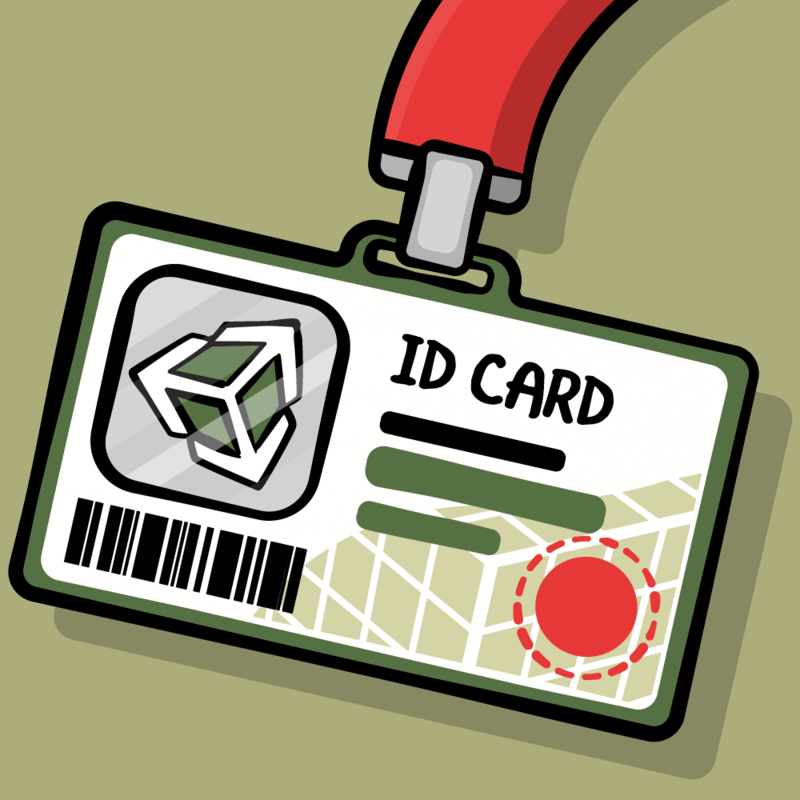 If you do, it will open up Scary Bugs, but of course it won’t load because we haven’t added the code for that yet! So let’s do that next. When Mail or some other app wants to send your app a file, it does so via one of two methods: via application:didFinishLaunchingWithOptions, passing the URL in the UIApplicationLaunchOptionsURLKey, or via application:handleOpenURL. To understand what happens when, Oliver Drobnick has put together a very handy article with diagrams on what gets called when. This is mostly self-explanatory, but a few notes. First, in ScaryBugDoc we add a method to import a document from a URL. The URL that is passed into us from the system is actually a copy of the document that is placed somewhere in our app’s directory. So we read it out here as an NSData and pass it to our importData method that we wrote earlier. In RootViewController, we pop to the root view controller (in case we were on a details view somewhere), create a new doc, and import from the given URL. In ScaryBugsAppDelegate, in both places where we can receive a URL we look for it, and if it’s a file URL (rather than a query string, might have a tutorial on that later), we notify the root view controller so it can do the import. So go ahead and compile and run your app, and if all works well you should be able to open up the email attachment and see the bug imported into your app! That was the hard part – exporting data will be smooth sailing from here. message:@"An exported bug with this name already exists. Overwrite?" Here we modify the export button to prompt the user whether they want to export via File Sharing as before, or via email. 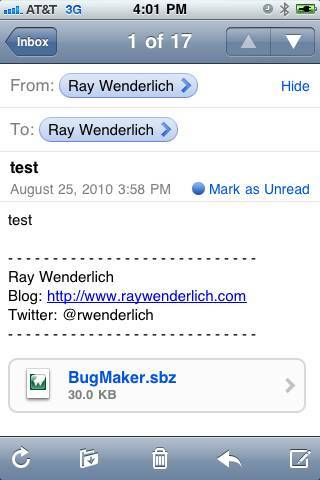 If the user chooses via email, we use a MFMailComposeViewController to create an email message, and we add ad attachment with our bug data to the message. Pretty simple eh? One last thing before we can test: right click on Frameworks, click “Add\Existing Framework…” and choose “MessageUI.framework” from the list. 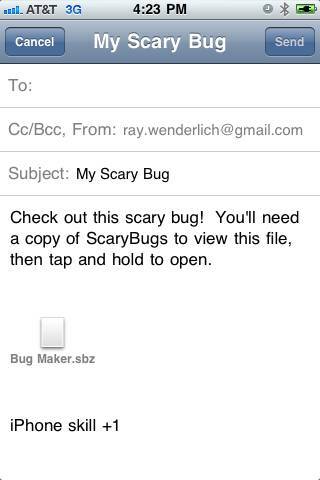 Then compile and run your app, and you should be able to automatically export a scary bug from your app via email! If you’ve gotten this far, why not have some fun? 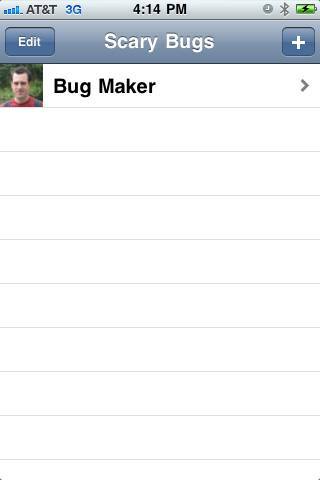 This is as far as my plans go for this Scary Bugs app, but who knows, maybe we’ll come back to it someday?